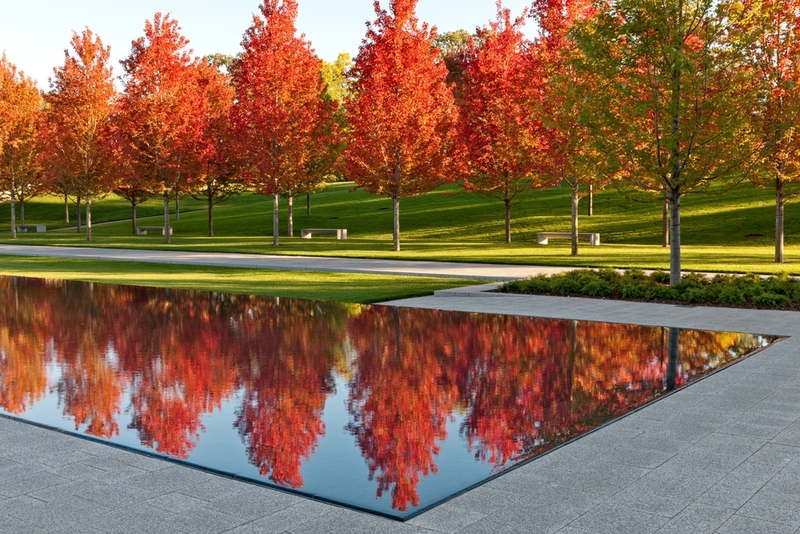 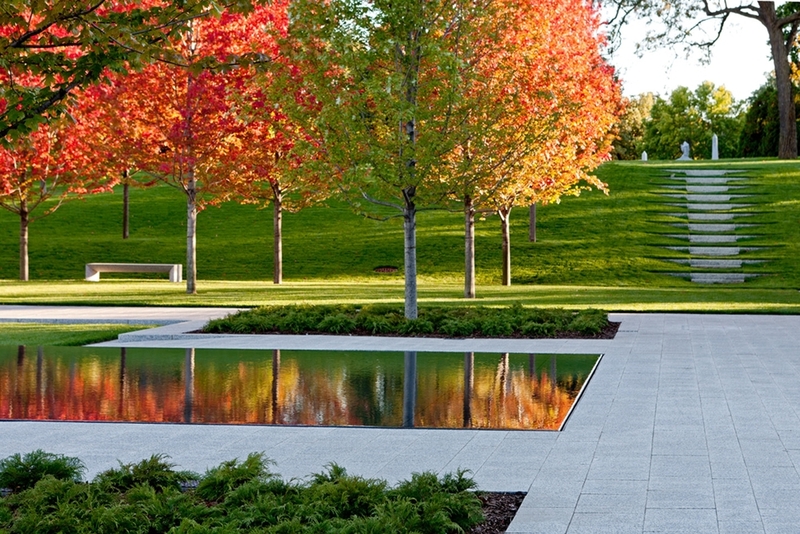 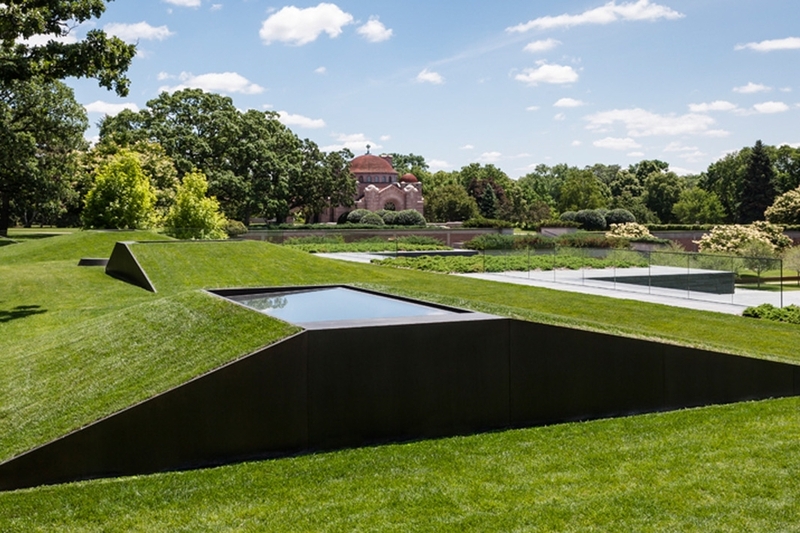 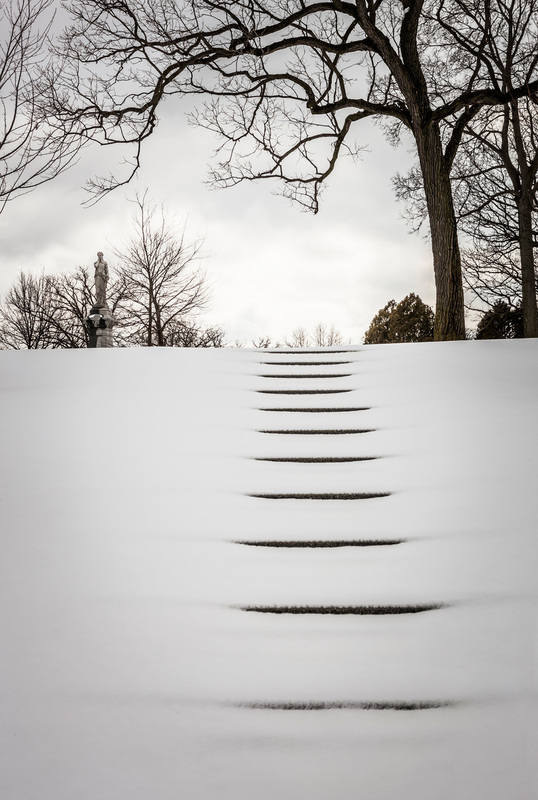 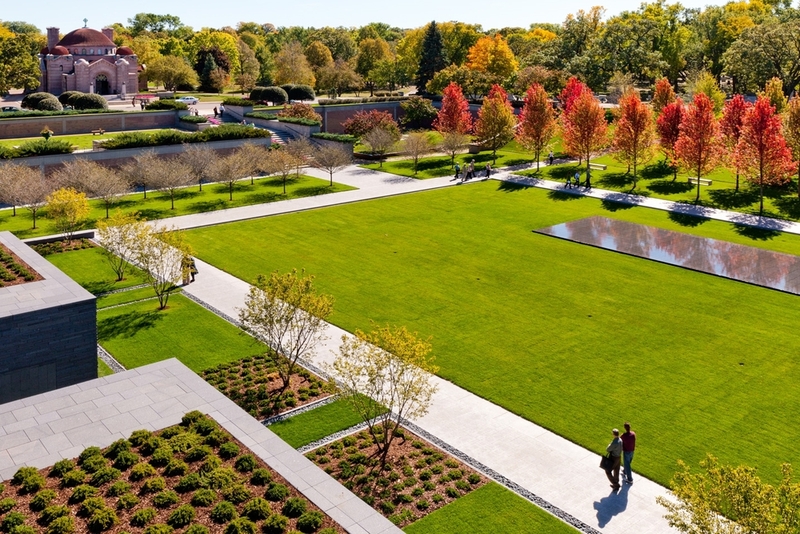 Lakewood, a 143-year-old historic “Lawn Plan” cemetery in Minneapolis, faced the challenge of creating a 21st-century commemorative facility to fit in with their revered, landmark landscape. 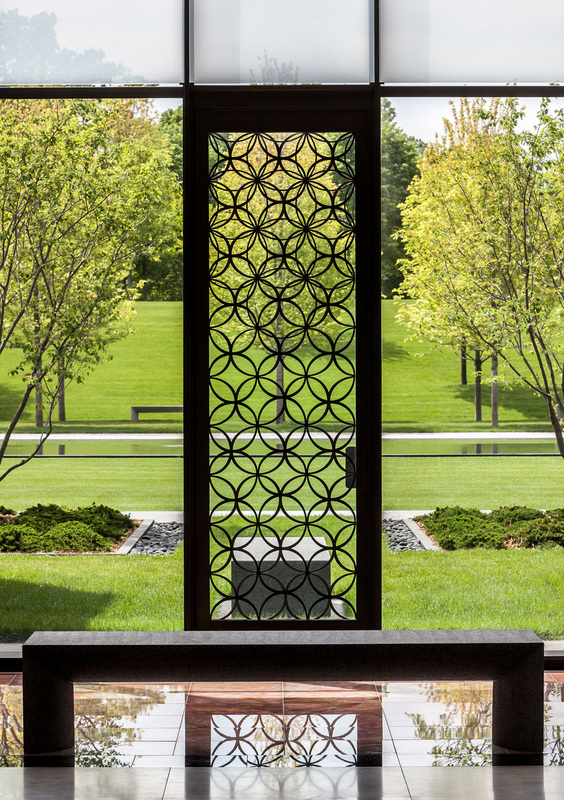 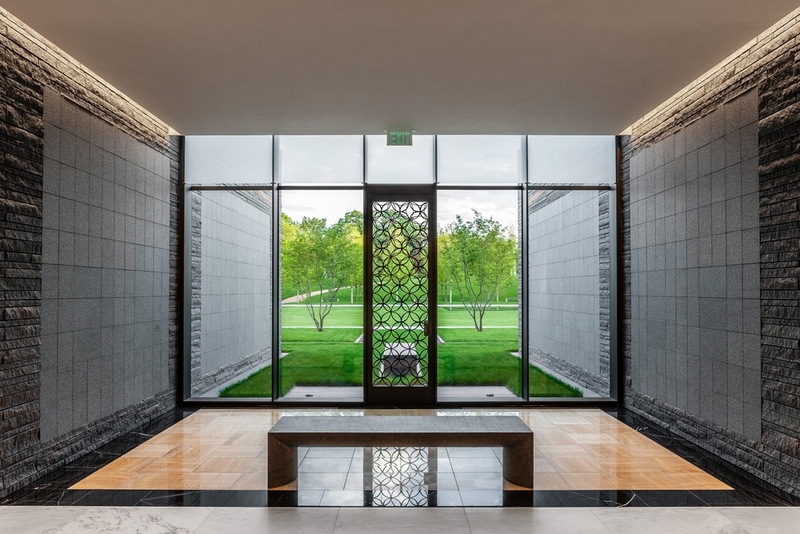 The recently completed Lakewood Garden Mausoleum has met this challenge with adroitness, sustainability and grace. 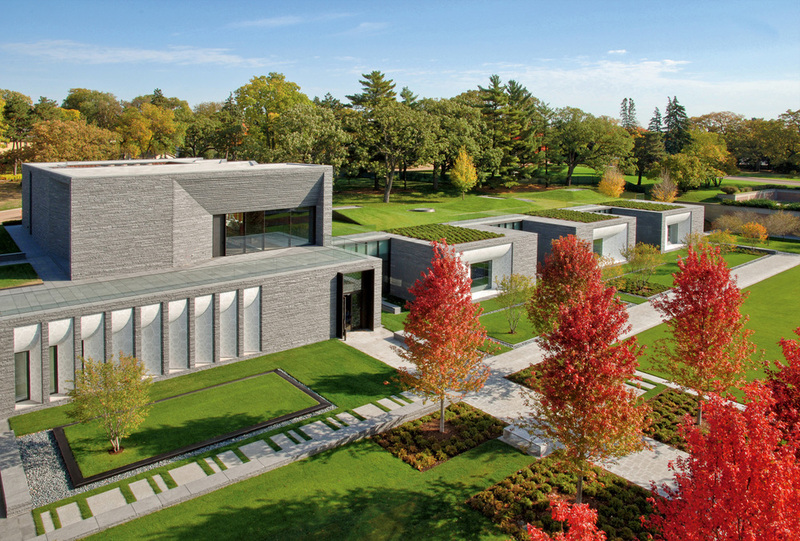 Two-thirds of the new building are enveloped within the cemetery landscape in a south-facing slope. 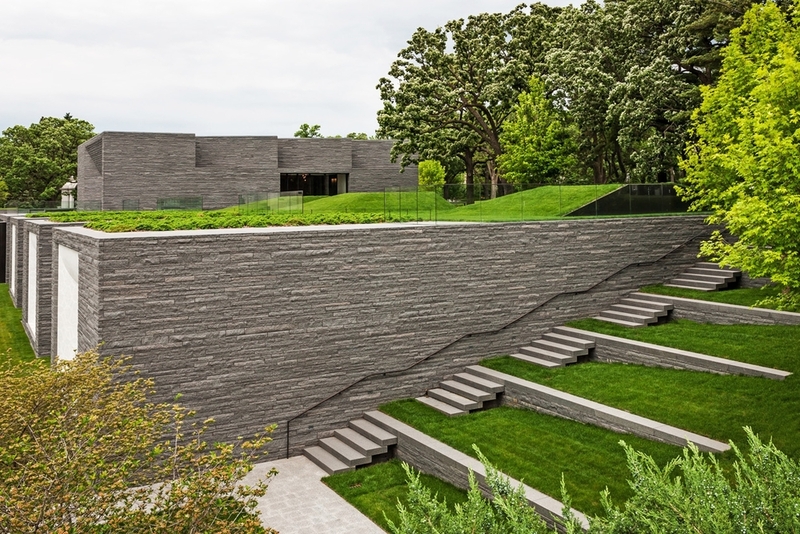 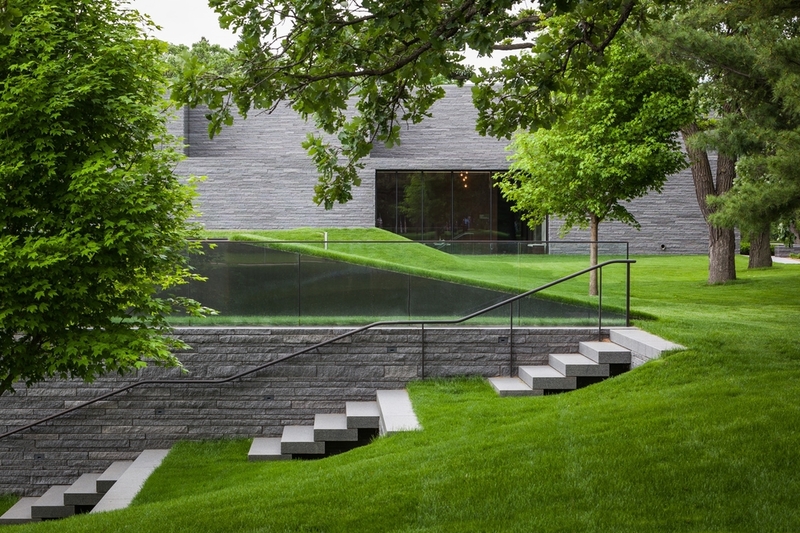 The architecture, designed by HGA Architects in collaboration with Halvorson Design, opens out onto a peaceful, grassy expanse at the lower level. 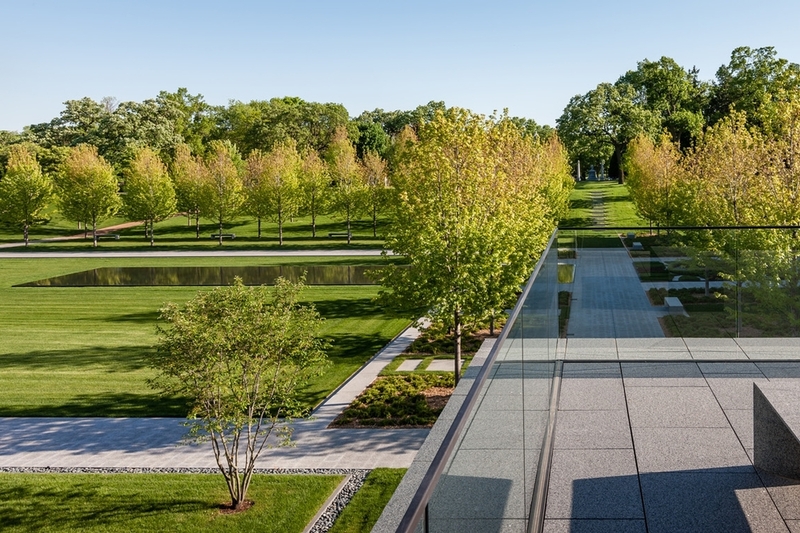 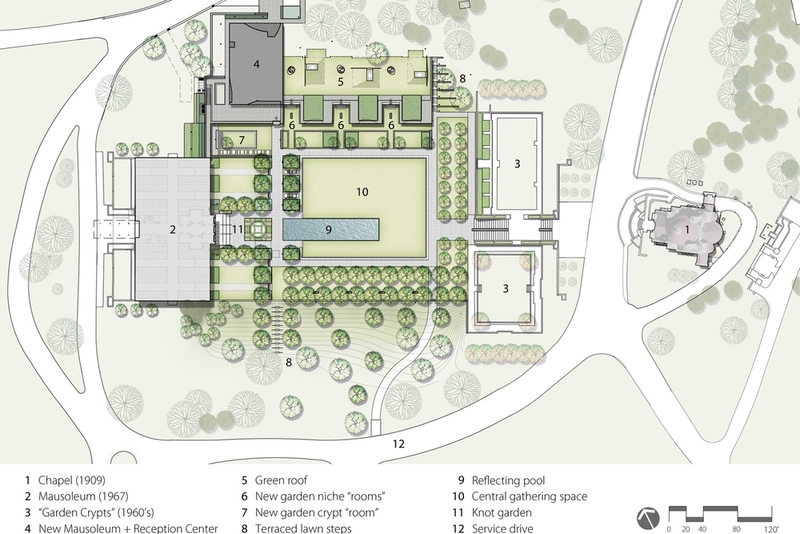 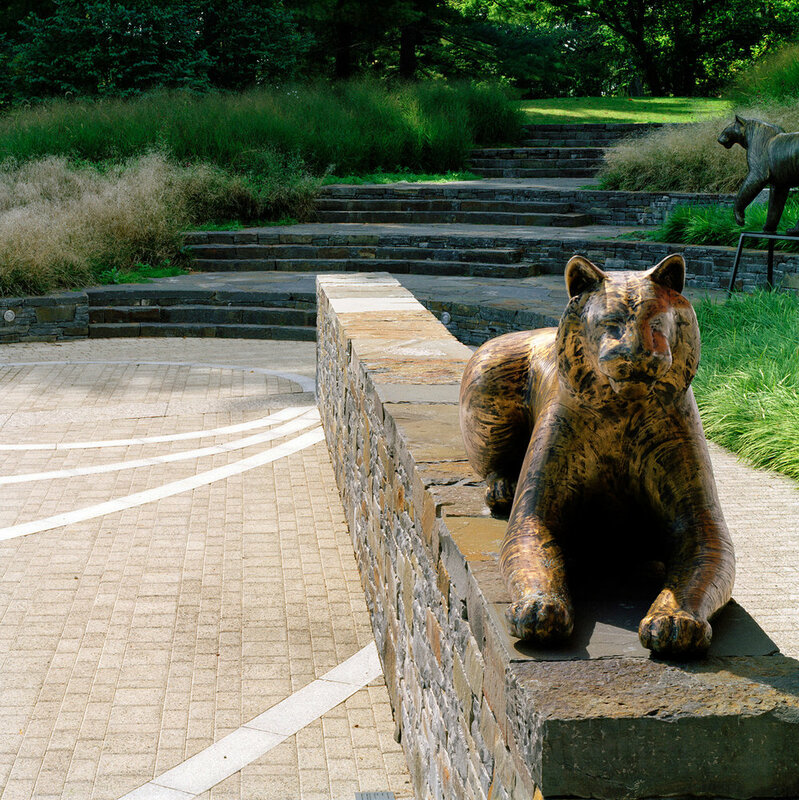 The multi-award-winning design features a quiet reflecting pool, groves of native trees, and an accessible green roof that define a distinctly contemporary landscape in full harmony with its historic environment.